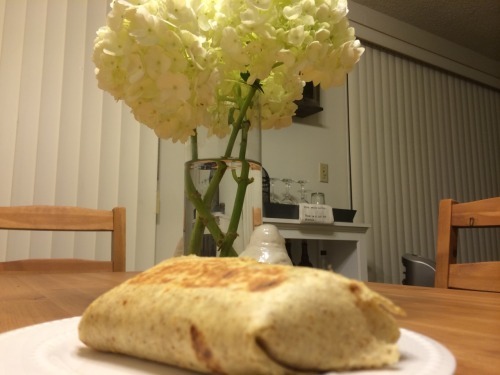 I was far too low on leftover protein macros at night so I hid the meat and this grilled burrito was born. Gently stuffed with avocado, yam tater tots and shredded cheese in a Sonoma Low-Carb Tortilla. Stuffed tight and then pan grilled for a 2-3 minutes on each side. Delicious.